Microsoft Game Studios Corporate Vice President Phil Spencer predicts that Kinect will be "the biggest launch we've ever seen." Sometimes, when you're selling stuff, you have to embellish things a little bit. I've done it so often over the course of a long and soul-deadening retail career that I have moments when I can actually feel my grip on reality slipping away, like sand pouring through my open fingers. And while I certainly don't mean to suggest that Spencer is necessarily telling a whopper, I do think that the man's optimism is admirable. "Retailers are telling us from their buzz and what they hear from people walking the store asking questions that this is going to be the biggest consumer home electronics launch of this year, and they're gearing up towards that," Spencer said in an interview with Eurogamer. "Given all the momentum that I see and the way we're investing, I'll bet this is the biggest platform launch ever." "We have 15 launch games - few consoles have shipped with 15 launch games," he said. "And there are some things we can take advantage of - the fact the 360 is a platform people know, so the technology involved in putting a game on the platform, connecting to Live - those are things that developers have become adept at." Spencer said that Microsoft should be able to move "at least" the three million Kinect units predicted to sell over the holidays. "I don't want to get ahead of ourselves," he added, "but we're invested and we expect, yeah, that this will be the biggest launch we've ever seen." 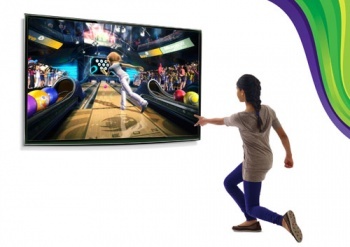 Kinect hits store shelves on November 4 in North America and November 10 in Europe.